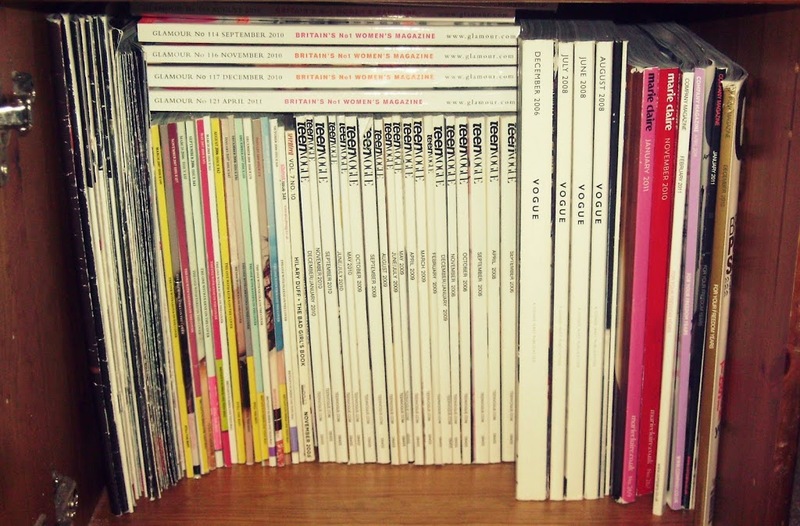 Fashion Magazines. They pretty much come with the territory when you start blogging about fashion. I was clearing out my room this week and kept coming across magazines whilst moving bits and pieces around. I gathered them all together and found ones dating right back to when I was a pre-teen. So I thought I’d take a trip down magazine memory lane with my life in through their glossy pages. Starting off. 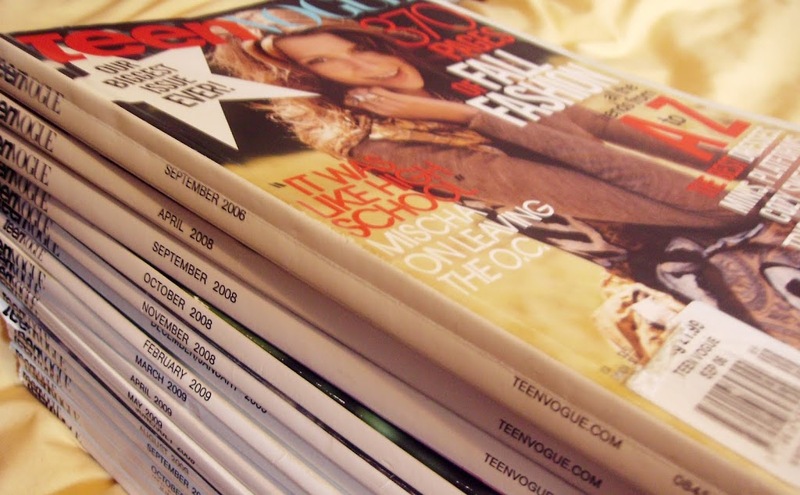 I started buying fashion magazines as a pre-teen. Initially, they were treats from my mum, instead of getting an allowance. Sugar magazine was my introduction to the fashion world, it was bright, beautiful and full of great UK teen fashion. Plus with the added ‘Lad Mag’ and teen advice columns, it was pretty much a bible for my pre-teens. Back then fashion was a minefield, I was a tomboy who wanted to be girly so I guess this was my first venture into femininity. After, a trip back home to the Philippines in my mid-teens I bought Teen Vogue for the plane ride (the top magazine in the pile above is that issue) and loved it! American fashion really took my interest, the styling was different (though it might’ve been the influence from the main Vogue) and the fashion stories seemed more exciting and up to the minute. So I started buying copies alongside Sugar. I eventually stopped buying Sugar, to my 14/15-year-old self I felt a bit more sophisticated buying Teen Vogue and revelled in American popular culture. Wanting to graduate to the big girl’s magazines I started buying Vogue after stealing away my mum’s copy of the 100th Anniversary edition. But it hit my pocket hard (I was a lowly student after all) and I switched back to the teen version after a few editions. 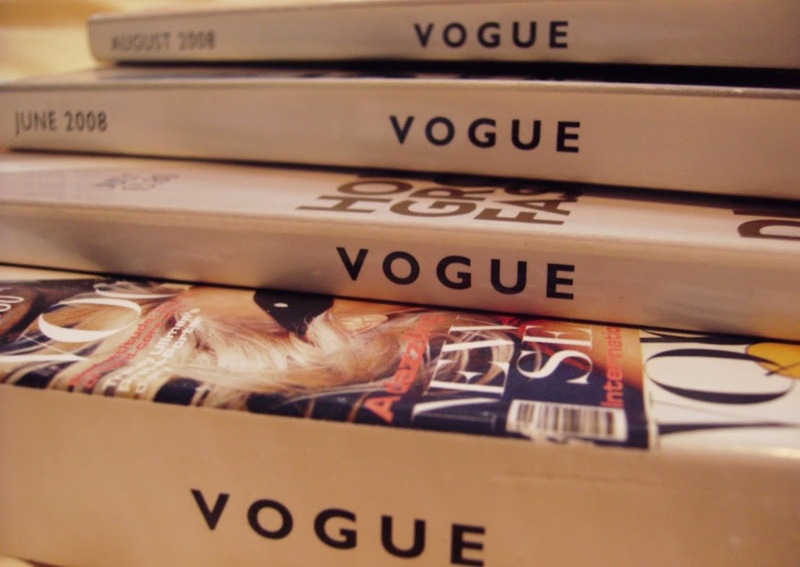 Vogue did spark my interest in the fashion industry though, I remember getting into the idea of becoming a fashion editor after reading Vogue and watching The Devil Wears Prada. Grazia, Look, More – Weekly Gossips! 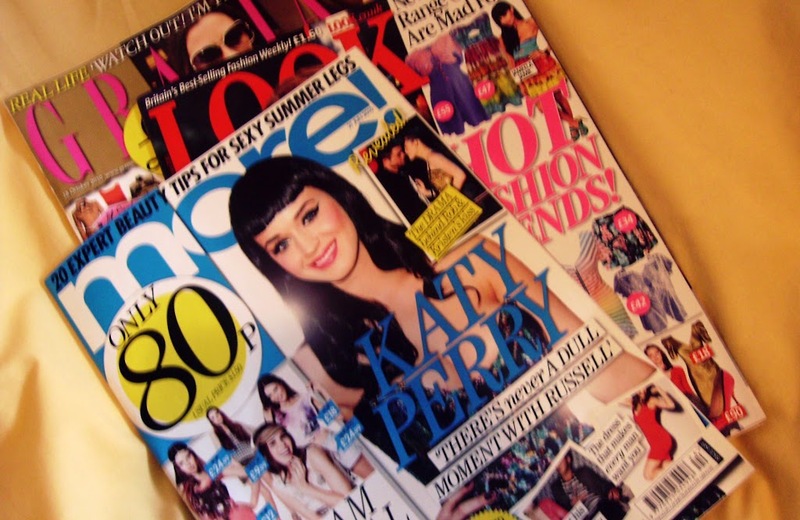 I then had a phase of getting weekly fashion/gossip magazines. They were cheaper and I felt more inclined to get rid of them as they were only good for a quick fashion fix. These three are the only ones I have left. Weeklies required no brain power to read so were great as an after exam treat both at GCSE and A Level. 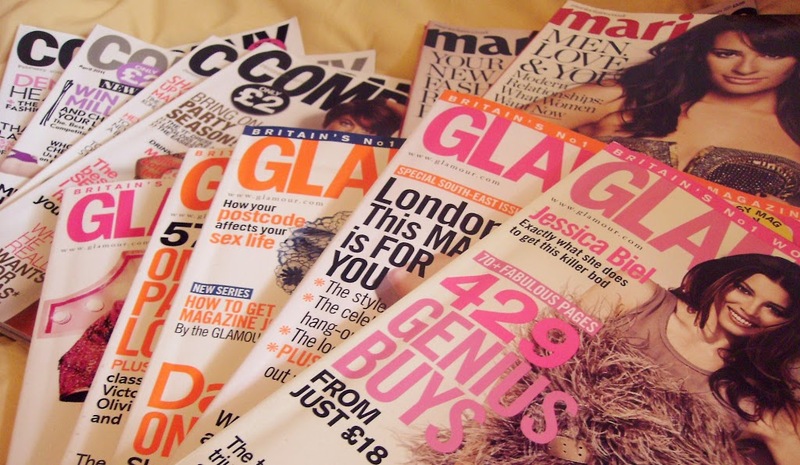 Since becoming a commuter for University I tended to switch between the major fashion magazines here in the UK – Marie Claire, Glamour, Elle UK and Company – usually dependent on the free gifts and who’s on the cover, superficial but what can I say I’m a student and I’m swayed by freebies lol. In terms of fashion, I was discouraged away from taking on fashion journalism as a career, instead favouring to use fashion as a tool for expression using the magazines as personal inspiration. 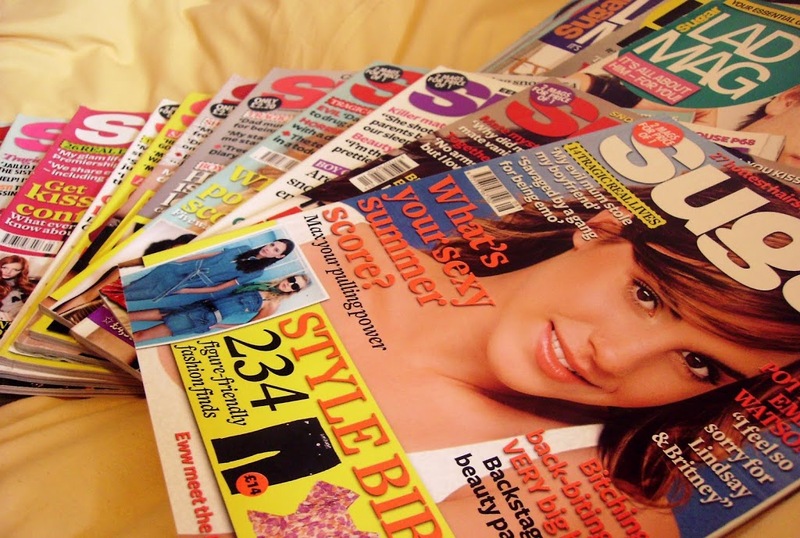 It also seemed appropriate to be reading about ‘grown-up’ problems and advice columns in these magazines now that I was 17/18 year old instead of trivial playground problems in Teen Vogue and Sugar. 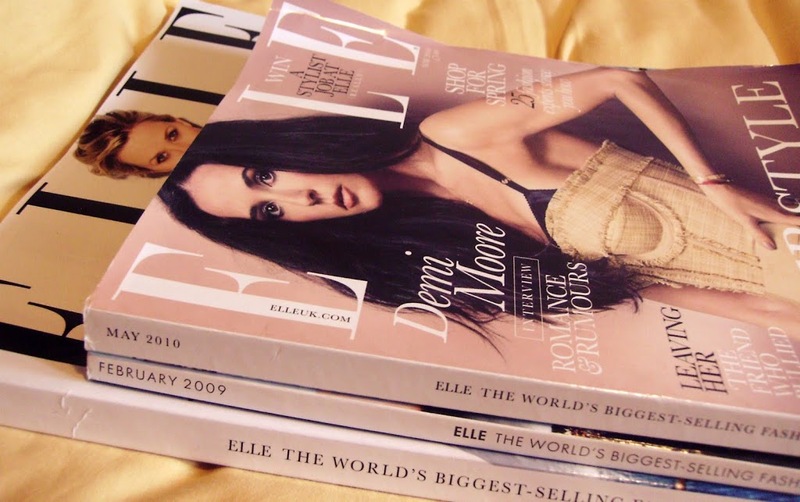 And now, with my Elle UK subscription which I got at London Fashion Weekend, I’ve got a monthly fix of glossy fashion for blog inspiration. But when that ends who know where I’ll go? I’ve been swayed into flicking through the more ‘obscure’ titles as well as reading online magazines too. What did you start off with and what are you reading now?